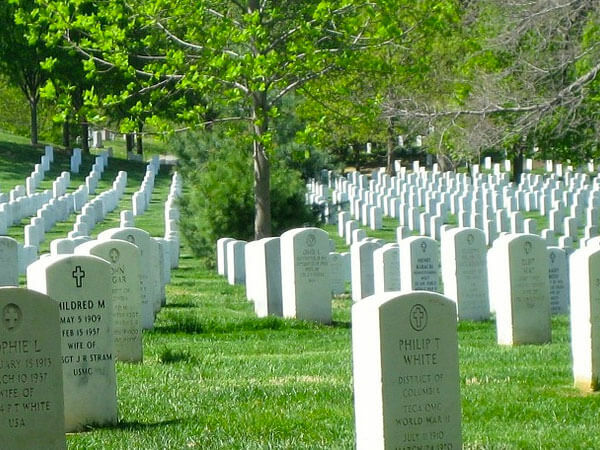 Cemetery staff in national, military posts, and military base cemeteries are responsible for setting the headstone or marker at no cost to the applicant. Some state Veterans' cemeteries may charge the applicant a nominal fee for setting a Government-furnished headstone or marker. Arrangements for setting a Government-furnished headstone or marker in a private cemetery are the applicant's responsibility and all placement costs are at private expense. Memorial headstones and markers, for individuals or groups, are furnished for eligible deceased active duty service members and Veterans whose remains are not recovered or identified, are buried at sea, donated to science or whose cremated remains have been scattered. 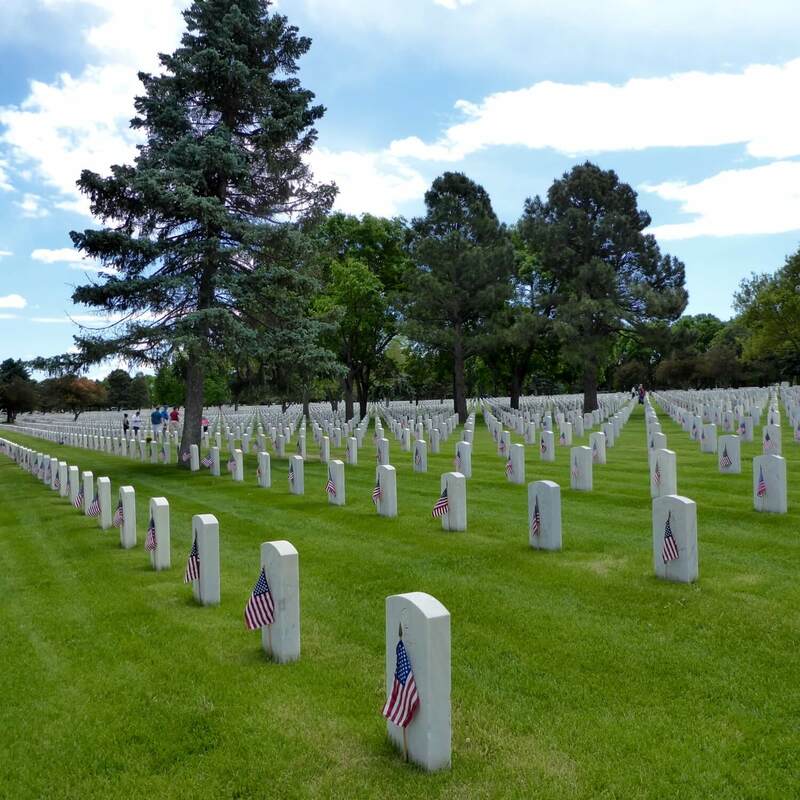 Memorial headstones and markers may also be furnished in national, military post/base or state Veterans cemeteries to eligible spouses whose remains are unavailable for interment, whether or not they predecease the eligible Veteran. These headstones and markers bear an "In Memory of" inscription as their first line and must be placed in a recognized cemetery. Memorial headstones and markers for spouses and other dependents are not available for placement in private cemeteries. VA Form 40-1330, Claim for Standard Government Headstone or Marker, must be submitted to request a memorial marker. 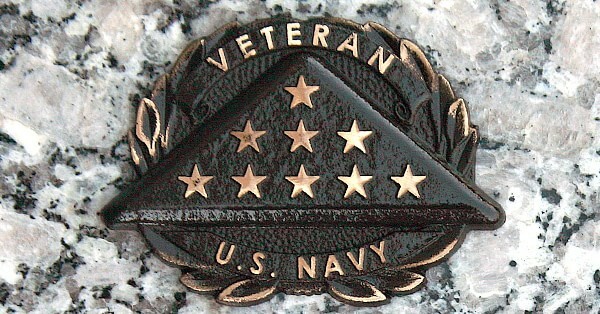 The Department of Veterans Affairs provides a medallion, by request, to be affixed to an existing, privately purchased headstone or marker to signify the deceased's status as a Veteran. 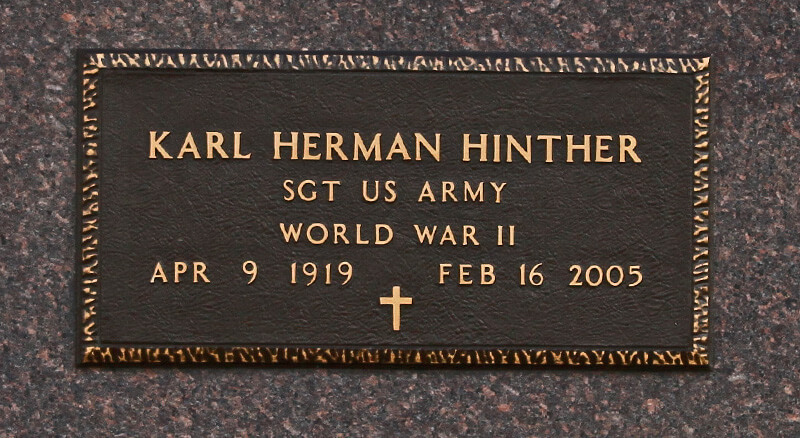 This device is furnished in lieu of a traditional Government headstone or grave marker for those Veterans whose death occurred on or after Nov. 1, 1990, and whose grave in a private cemetery is marked with a privately purchased headstone or marker. Small (2”W x 1-1/2”H x 1/3”D). Each medallion is inscribed with the word “VETERAN” across the top and the branch of service at the bottom. This benefit is only applicable if the grave is marked with a privately purchased headstone or marker. In these instances, eligible Veterans are entitled to either a traditional Government-furnished headstone or marker, or the new medallion, but not both.